Bonnie is the Audio Lead (Sound Design/Composition) at Schell Games, focused on entertainment-based and educational video games, interactive experiences, and theme park attractions. She has worked on a wide variety of internal projects ("Water Bears", "I Expect You To Die", "Puzzle Clubhouse", "Innercube") as well as client projects including Sea World ("Race to the Beach"), Bossa Nova Robotics ("Mechatars"), PBS/Fred Rogers ("Daniel Tiger's Neighborhood"), Yale ("Play Forward Elm City Stories"), BEST Foundation ("TunnelTail"), and Amplify Education ("World of Lexica", "Spelling Stone", "Inklings"). Other projects include game audio and sound design for "Cybercadets" (Cylab), "The Mayan Adventure "(ArcVertel), "HIVESWAP aka the Homestuck Adventure Game" (What Pumpkin), producing and co-founding "Evenings in Quarantine: The Zombie Opera", Music Director of "Super Smash Opera", performing with Undercroft Opera and the Pittsburgh Savoyards, and musical collaboration on the "Materia: Final Fantasy vii Remixed" album. Bonnie has served on the boards and committees for organizations including Great Lakes Film Association, Parsec, the Pittsburgh Savoyards and is currently a Steering Committee member of IASIG and member of GANG's IESD group. 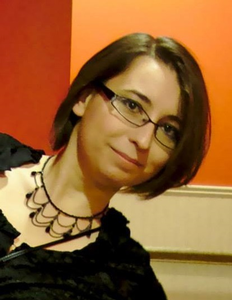 She has been a judge for the IGF (Independent Games Fest at GDC), Indiecade, animation and script judge for the GLFA, and is a frequent attendee and presenter at a variety of events events including MAGfest, GameSoundCon, Confluence, and GDC.